Though in terms of home décors, minimalism has long been the trend, and focus is still on the less is more parole, I’m sure you’d agree with me when I say it can’t replace the effects of texture on the abode. Particularly that of walls. As features that take up considerable amount of the home area, they do have a significant role in the décor. Apart from relying on art to make a statement with walls, and bring them to life, making them stand out in the living space, it’s not surprising people have started getting more interested in the beauty of natural stone cladding panels. The richness of the texture of the stone, in a combination with the variety of colour, can sure add a sense of timelessness whether outdoors or indoors. 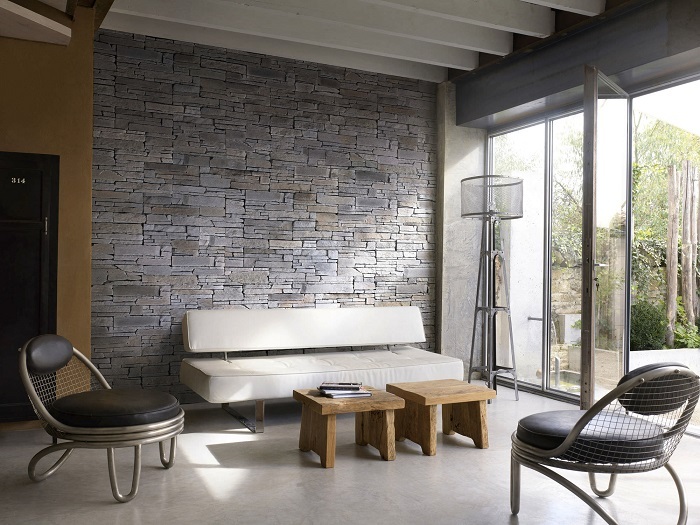 Though nothing of a new design, since our ancestors were the masters of stone walls, the use of latest technology has made it possible to craft natural stone cladding panels that are as thin as the faux ones, in the form of veneers for instance, making it possible to have easier installation which is great news for DIY enthusiasts who’d like to save a dollar and take wall décor matters into their hands. If you fall in love with the look of the walls, be that with feature walls, pillars, or blade walls in stone, you’re going to want to surround yourself more with the warmth of natural stone in the form of panels with your fireplace, the pool surrounds, as well as your outdoor area with landscaping. Though usually thought as more of an investment than faux cladding panels, fact is it’s not. Think of it as more of an investment that pays off eventually; to support this point, just remember it’s natural stone – as such it’s a green product, that’s easier to maintain, and clean, and can last a great deal more than faux panels. While natural stone can withstand weather exposure (it’s done so for millions of years) without cracking or fading, the faux option only gets damaged from the UV and rain exposure, both in terms of colour, and erosion. Sure, there are those that still argue there’s more to aesthetic versatility and colour in the faux panels than in natural, however the man-made product can never match the unique beauty, characteristics, and shapes of the nature-made product – the look is simply said superior.